Websites are a crucial part of a small business or start-up. Current and future customers expect businesses to have them, and expect them to work well. However, small businesses are understandably careful about how they spend their money – particularly in the start-up phase. Therefore, the natural first question is: how much does a website cost? This article aims to provide you with an answer. If you’re looking to learn how to build a website, you can find that information in our detailed guide. The overall cost of a website is made up of many different elements. As well as website design, you’ll also need to consider the cost of development, hosting, maintenance, and more. Your business needs a website to connect you to your customers. Create a professional website for free today with GoDaddy. Different factors will affect the cost of setting up a website. This will include the small business website design cost, whether you’re looking for ecommerce functionality, and the cost of maintaining a website. Generally it makes sense to consider all of these costs together, from the beginning. This is usually more economical overall. You particularly need to be careful to compare costs against seemingly enticing ‘cheap website’ costs. In most cases these prove to be inflexible, limited in functionality, and potentially cost you more in the long-run. You will also be without ongoing maintenance support. Look into these options carefully, before deciding if they are right for your small business. Instead, it makes more sense to consider the cost of a website in terms of the return on investment. Generally speaking, a website will pay for itself, if you’ve done your homework, because it will act as a strategic tool to facilitate the business. As you can see, there are multiple elements to building a website. When asking how much does it cost to set up a website, we need to look at each of these variables in more detail. We also need to consider them in the context of the type of website you need. A complex shopping website with ecommerce functionality will have different costs compared to a very basic tradesperson’s website which is about advertising and contact. Given there’s a good choice you’ll lack the very specific technical expertise required to build to a website for your small business yourself, website builders present a very cost effective and convenient way to get your enterprise online. 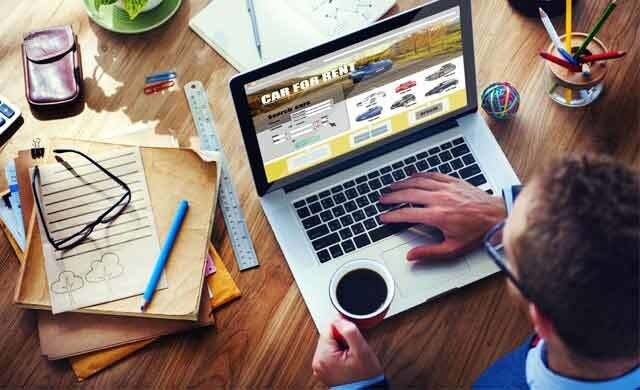 Incredibly easy-to-use, regardless of your experience, there are a number of website builders offering a range of programmes designed to help you both advertise and promote your business – as well as sell your products and services to a global audience. Once you’ve pinned down what capabilities your website will need to have and what constant services you’ll need access to, you can then start looking at the different website builder brands. To compare these various brands or to receive a free quote, complete the webform at the top of the page. Below we have compiled a list of the best website builders for small businesses. Or you can read our full-fat, no-nonsense review on the UK’s best website builders for small businesses here. Placing a huge emphasis on simplicity and its user friendly credentials, Wix boasts around 110 million users worldwide, across 190 countries – adding up to 45,000 customers everyday. Offering over 500 free professionally designed business templates to choose from, all categorised into various business sectors including restaurant and food, fashion and beauty, and portfolio and CV, you can be sure when using Wix that your website will always remain on trend. With an extensive collection of over 200 apps that can be added to your website, you can easily add numerous features at the touch of a button – such as links to your social media accounts, an option for visitors to sign-up to your mailing list, and the chance to display paid ads on your site via Google Adsense. Operating on a freemium business model, Wix can be used completely free of charge – allowing you to use its most basic package for free, with the option to update your subscription for additional paid-for benefits. 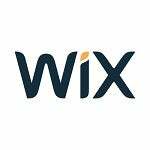 Read our full Wix review here. To find out more about Wix, simply click the button below. Wix can help you to build the perfect website for your small business. GoDaddy is the world’s largest cloud platform dedicated to small businesses and they have a popular website builder called GoCentral now. GoCentral is more restrictive than some other website builders, but there’s good reason for this. More than the jazziest website, you need a website that gets you customers. Most small business owners don’t have the time nor coding expertise to build a successful website. So by making the process as easy as possible, GoDaddy is perfect for first timers and their extensive SEO (search engine optimisation) support will give your business website the best possible chance of success. There’s a free one month trial for you to check it out and after that GoDaddy’s prices are some of the most competitive on the market today. Aimed towards business owners looking to attract a global audience, Weebly’s website builder is one of the easiest to use on the market. Containing a WYSIWYG editor (pronounced wiz-ee-wig and an acronym for ‘what you see is what you get’), you’ll be able to view what the end result of your website will look while you’re still in the editing process. 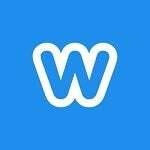 If you need to only create the most basic of websites, Weebly has a free plan which allows you to create up to 10 pages via a weebly.com subdomain. In order to make money off your free website however, Weebly will advertise its brand across your site and you’ll need to upgrade to the starter plan should you wish to remove these ads. In contrast to GoDaddy, there is plenty of customisation options thanks to the HTML and CSS code editing options – provided you have some know-how in these areas. Read our full Weebly review here. 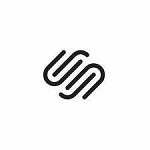 Offering the best website templates on the market, with over 90 to choose from, Squarespace’s strength lies in its simplicity combined with its excellent range of import tools – which allows you to import content from other platforms. Integrating with many well-known and much-used third party tools such as Google Apps, Xero accounting software and Mailchimp, Squarespace’s website builder also features a design app allow you to create a simple but professional-looking logo. Its packages are divided into four monthly pricing options ‘personal’, ‘business’, ‘basic’, ‘advanced’, which are grouped into two types of packages, ‘websites’ and ‘online stores’. Hence the name, the personal plan isn’t suited to small businesses as it doesn’t contain any ecommerce feature whatsoever – meaning you won’t be able to sell your products or services online should you choose this option. Check out our complete Squarespace review for more information. In your basic website costs you need to consider the primary function of your site. A basic site has limited functionality, but it can be an excellent platform for showcasing your business and acting as a portal for enquiries. However, you should take care to ensure the basic website can adapt and grow with your business. Try to think of future needs, as well as current ones. To create a basic website you can opt to use a freelance web designer or an agency. They will work either on an hourly rate, or on a fixed fee. Freelancers vary enormously in cost, so do ask to see examples of their work and a breakdown of what is included. A ballpark figure would be in the region of £50 per hour for a mid-range UK web-designer. Expect to pay as little as £5-£20 per hour for an overseas freelancer with less experience, or as much as £150 for a top-end website designer. However, for basic websites you should not need to pay at the top end of the range. On top of this you will need to account for the basic costs of hosting and a domain. All in, a good quality basic small business website cost should be in the region of £400-£800, although it could be as low as £200 or as high as £1,000, depending on your specific requirements. In advanced websites you need to pay for additional size, and possibly some ecommerce or interactive functionality. These websites typically need to be a bit more flexible than a basic website. Again, try to think of future business development and not just today in your design. Furthermore you want to be sure your website is mobile friendly. Expect quotations from freelancers and agencies to be highly variable. You will need to look at these in detail to see what is included. To get more accurate quotations make sure you’ve done your homework and have a clear brief to give to web designers to work from. As well as the standard costs of a basic website, you will additionally be looking at more technical wizardry and programming. An advanced small business website cost should be in the region of £1,000-£4,000. If you are expecting a much higher degree of traffic, and need your website to perform specific functions, then you will need a highly skilled programmer capable of delivering bespoke functionality. It’s recommended to approach such website costs as a long-term and ongoing arrangement. Therefore the same website designer will also provide maintenance, updates, management, and support. Bespoke functionality websites take longer to create, test, and get up and running. Costs reflect this. It can therefore be most appropriate to establish costs up-front, broken down into the initial cost of setting up a website, and then the ongoing cost of maintaining a website. Before choosing your web designer, seek out reviews and view a portfolio. The small business website design cost for a bespoke functionality site should be between £2,000 and £7,000. The ongoing cost of maintaining a website will depend on the nature of the package. For example, some may include social media management, or a certain amount of fresh content, whereas others will be more limited. If you need shopping functionality, then you will need to factor in the costs of an ecommerce website. You should select a UK designer who specialises in the intricacies of ecommerce. To get an online shop up and running you are typically looking in the region of £300-£2,000 on top of other website design costs. Unfortunately, many websites are more cost-effective to completely start from scratch rather than redesign. Therefore, always select your website options with a view to scalability. It is also a reason why it can prove worthwhile to have an ongoing maintenance contract following the actual design process. That way, the designer is responsible for ensuring your website can adapt and change over time. If you want to see if a re-design is possible from your existing site, then ask a few different web designers for their opinion. Often an excellent return on investment (ROI), an integral part of your small business’website will be to sell, sell, sell – and there are a range of ecommerce platforms that will enable your site to come with such a shopping basket feature. Beginning with some very basic packages, the best ecommerce platform providers will have the flexibility to allow you keep adding more and more advanced functions as your online orders grow. Below we have compiled a list of the best ecommerce platforms for small businesses. To compare these various brands or to receive a free quote, complete the webform at the top of the page. Domain names vary in cost according to their type. However, domains are generally a very cheap element of your overall website costs. Generally, they can cost between £3 and £10 a year. The more popular the name, the more expensive it will be. Hosting is the process of your site being hosted on a web server. This will typically be charged on a monthly basis, ranging from £10-£60 per month. The best and most cost-effective websites are those that adapt, change, and grow. Maintenance should therefore be considered invaluable. Website maintenance will depend on the scale of the package you want. Maintenance can cost between £20 and £100 per month. It is advisable to use the same web designer as you had for the website creation. Content won’t necessarily be included on an ongoing basis, so do check this. You can choose to provide your own content and images, which will keep costs lower. Alternatively, for content that is search engine optimised, you can expect to pay between £10 and £50 per hour for content generation, through either an agency or freelancer. Quality varies enormously, so do check this first. Image costs are variable, and depend on the source. SEO may or may not be included in the overall package – do check this. SEO can be bought on a ‘piecemeal’ basis, but can be worthwhile on an ongoing contract basis. This will usually cost you upwards of £100 per month, but may include both content and images. SEO usually brings an obvious return on investment. Beyond the standard costs of setting up and running a website, there are also other costs that you may need to consider. Not all of these may apply in your individual business case. More and more customers and clients will be seeking to engage with your website via a smartphone or tablet. If they cannot use your website easily in this way, you may lose them to a competitor. Do not assume that this responsiveness will be included in a basic website design package. You may also get to the point where it makes sense to have two separate websites depending on how people are accessing your site. For a mobile-friendly site you can expect to pay between £200 and £300 as a one-off cost. Although you may initially consider your website as a standalone element of your business, in time you may realise that there are huge benefits to be gained by integrating it with other aspects of your operations. Integration to databases and other software can make processes more efficient and streamlined. For example, customer details feeding from a website form to other departments can save time re-entering common information. It can be hard to predict these needs in advance, but do try, and then ask about their additional costs. As the internet continues to shrink the global marketplace, it may be in your interests to build multi-language features into your web design from the very beginning, as this will be most cost-effective. Ultimately this will boost user-friendliness. Ecommerce and shopping cart integration is a specialist niche of web design. If ecommerce and payment functionalities are key to your business, then factor this in from the very start of the design process. The additional costs of making a website an online shop are in the region of £300 and £2,000 depending on the size. Choose your designer carefully, and ensure they are an expert in ecommerce platforms such as Magento or Shopify. You may wish to include additional features within your website, such as cost savings calculators, or quote generators. These features take a little more complex designing and as such will increase your website costs. However, if you discuss these with your designer at the earliest stages, they will be built into the overall design cost. Even with careful planning, you can be mid-way through developing a new website, or even completed, when you decide you need additional pages. Ascertain with your designer, in advance, how much such pages will be. Fortunately in the UK you have an enormous choice when it comes to website design, and therefore website design costs. It is possible to get a basic site up and running quickly, for minimal cost. However, with websites, investment usually pays off. The greater the scalability, and the greater the functionality, combined with the more advanced SEO and maintenance, the greater the return on investment. Websites are integral to small businesses in the UK. It’s imperative to have a website that accurately meets your business needs, both now and in the future. Website costs are just one small part of that. The table below includes a brief summary of some of the costs and features covered in the sections above. The information on this page should you to understand how much your website might cost to design and develop. For more bespoke information though, you need to speak to experts – we can help with that. To compare quotes from up to four top-quality UK web designers and developers, you simply need to complete the form at the top of this page. Completing this form is free, quick and easy, and it could save your business time, money and resource. Read our full list of the UK’s best website builders for small businesses today.